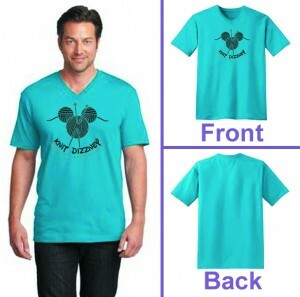 Come spend the day at the Disneyland Resort with Dizzy Blonde Studios and The Knotty Girls! You can purchase tickets online, or purchase them at the park. 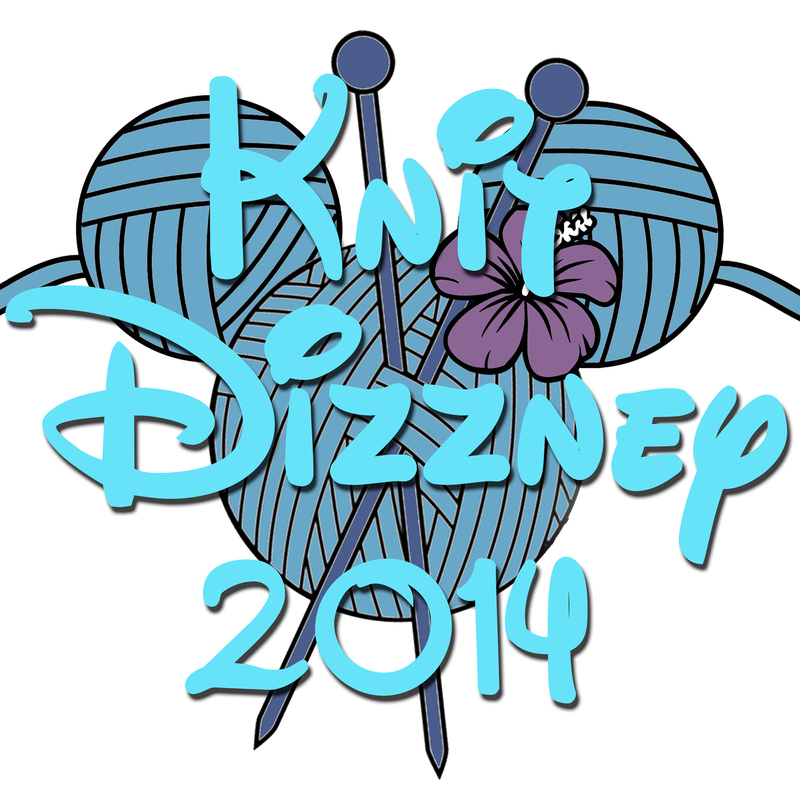 The official Knit Dizzney meet-up will be at the picnic area just outside Disneyland’s main gate at 1:00pm. 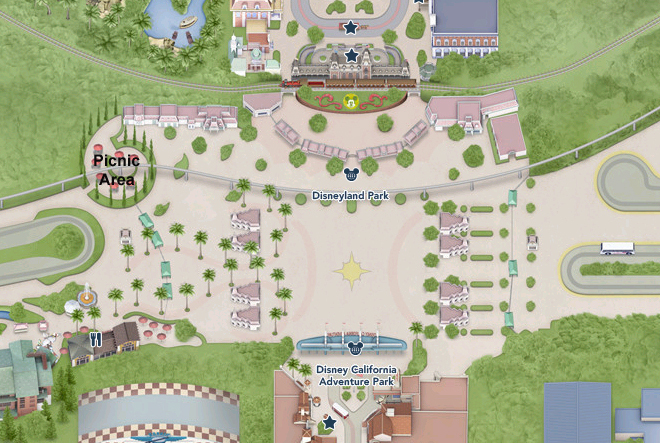 This makes it feasible for you to enjoy either park, or just join us for the meet-up and not miss out! We’ll have goody bags to pass out, photo ops, and plenty of time to sit, knit/crochet and visit during the most crowded part of the day. We’ll be setting the time for the meet-up shortly. If you’re just coming to the meet-up, there is free parking in the Downtown Disney parking lot for up to 3 hours, or up to 5 hours with validation from one of the Downtown Disney restaurants of cinema. Of course, this may be subject to change. We’ll also have t-shirts, exclusive custom-dyed yarn and hand-made project bags available soon, so keep watching this space for details as they become available! So come join us for a day of fun, fiber & frivolity! 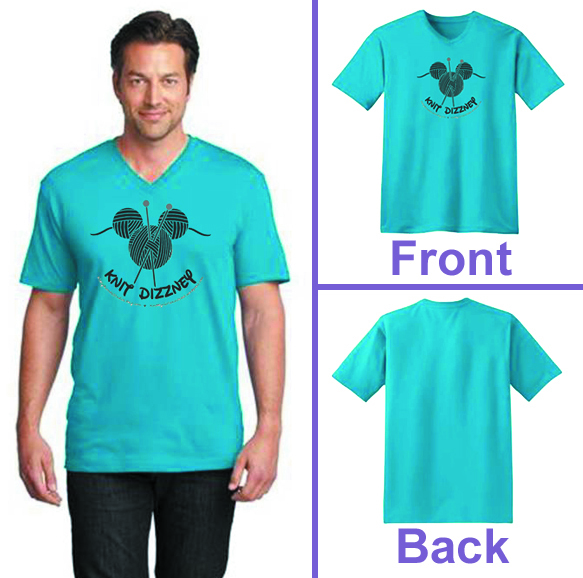 The official 2014 Knit Dizzney T-shirt is a turquoise inisex v-neck and is available in sizes XS – 4XL. Complete pricing and sizing information can be found here. And then there was yarn! Our “mascot” this year is Experiment 626 aka Stitch! And this year’s yarn is aptly named “Stitch Dizzney”. Get the entire low-down here! 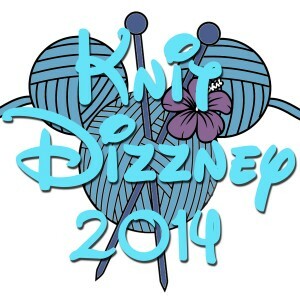 Not attending Knit Dizzney? No problem! 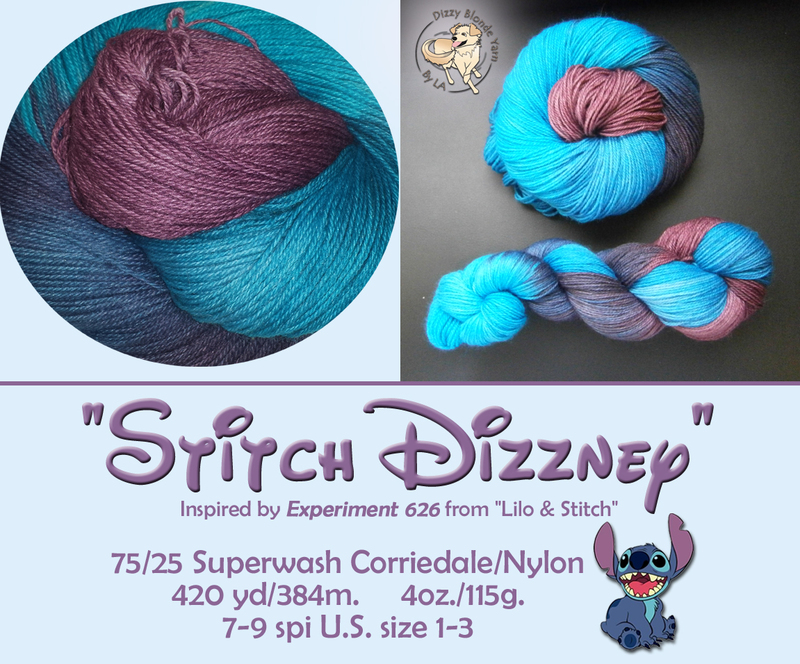 Stitch Dizzney will go up for sale in the shop as well, but only for a limited time! 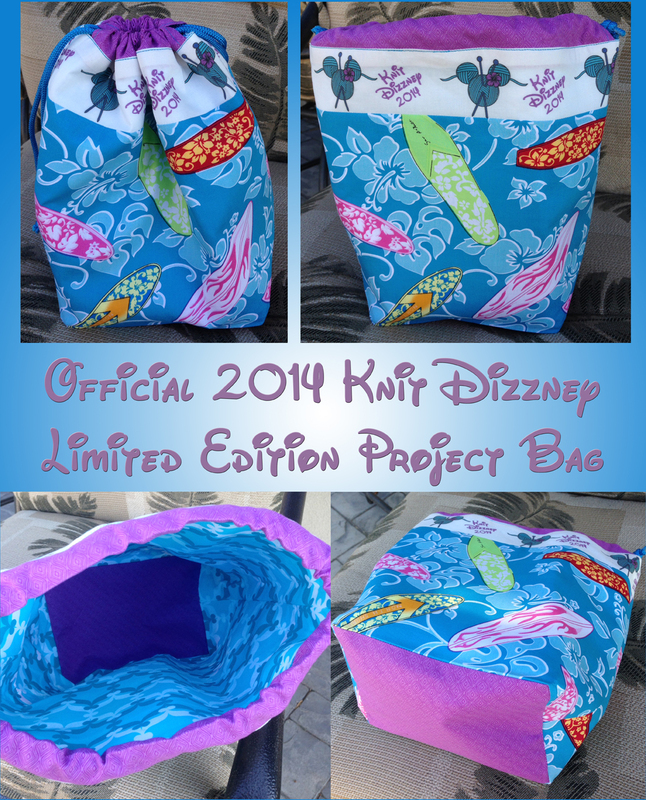 New this year is a limited edition project bag, and I gotta say, it’s gorgeous! However, we only have an extremely limited quantity. Knit Dizzney attendees will get first dibs. But because we have such a limited quantity, only one bag per person. All relevant info on these adorable bags can be found here. And here’s some more good news. Purchase all 3, and you get $5 off your order! 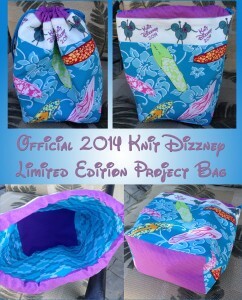 All pre-orders begin Monday, July 21, 2014 at approximately 9:00 am Pacific Time. Do we need to pre-register to attend? And how? Hi Jamie! No need to preregister to attend. Just show up. I’ll be playing in the park all day long, or if you want to just come to the meet-up, it’s at 1:00pm at the picnic spiral. The pre-registration is only if you wish to purchase the exclusive yarn. Great. I’m an AP holder, so I’ll be playing too. See you in the Park. Oh fun! I’ll probably be there at opening. For in-the-park meet-up locations and times follow me here: Twitter – KnottyGirlsKnit and KnottyLa; Instagram – DizzyBlondeStudios or Facebook – KnottyGirls Knitcast!